Illuminate Your Home With Exterior Lighting | Highlight Your Home Today! Lighting is an important aspect of any home. Choosing and installing the correct lights in the right size and design can make such a big difference outside of one's home. When it comes to exterior lighting design, it is not enough to just get lights for the sake of lighting you lawn and garden at night. Lighting, just like any other exterior design piece, needs a lot of thought and consideration. It is also important to ensure that your lighting fixtures complement your overall home and garden design theme, as choosing the wrong lights can be detrimental to the aesthetic appeal of your home. It is not easy to come up with exterior lighting design, especially since there is a wide-range of lighting fixtures to choose from. This is why most people prefer to hire the services of professionals, as they can take care of both the design aspect and the installation process, making it so much easier for modern lighting fixtures or traditional ones, there is a wide-range of options to choose from. It is also worth noting that, aside from thinking of the perfect design of lighting fixtures, you also have to consider where you plan to place them and for what purpose you are going to use them for. 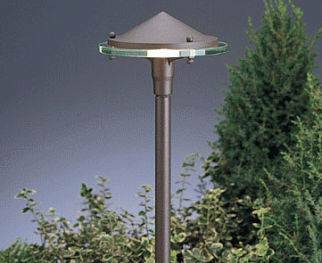 Modern technologies have allowed for greater innovations when it comes to exterior lighting. Now, one can find a wide-array of lighting options that utilize control and automation features. There are also a lot of lighting fixtures that come with available settings depending on the mood that you want to portray. Warm accent lights are perfect for a relaxing night on the patio whereas brighter lights are perfect when you large sculptures or trees to accent. 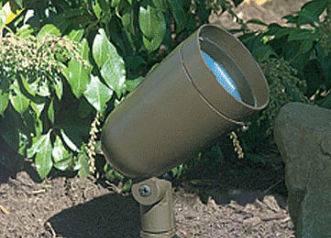 Whether you want to turn on your lights with a snap of a finger or you want to add accent lights to ever corner of your garden, you can be assured that American National Sprinkler and Lighting can take care of all of your exterior lighting designs.